Hello dear artists. 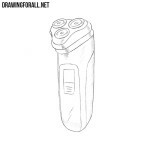 Recently, we often draw various items for hair care, such as a hair clipper, comb and electric razor. 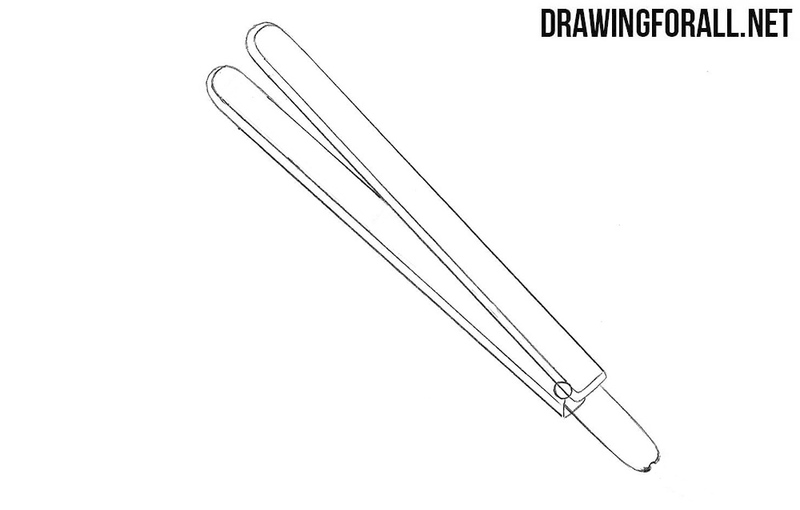 As you can see, we decided to continue this theme and made a lesson on how to draw a hair iron. 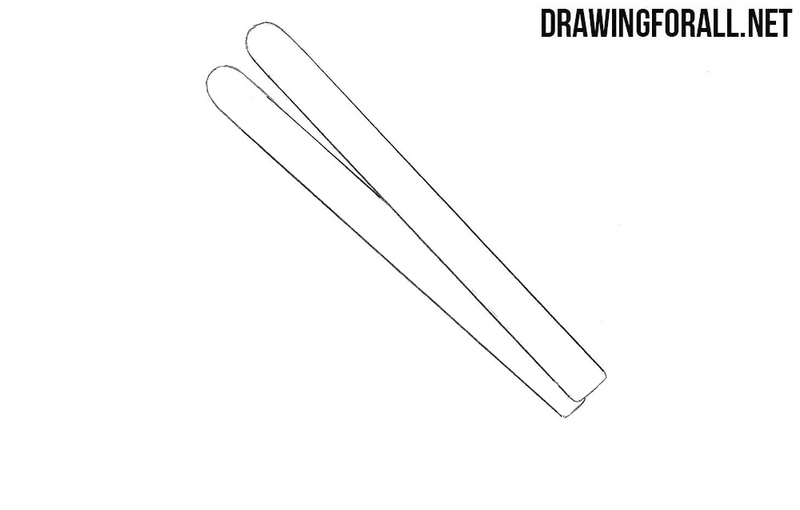 First, we draw two long things as shown in our example. On the one tip they should be strongly rounded. Use straight lines. Add light and straight lines on the figures from the previous step to create the edges of the hair iron. 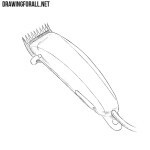 Draw the back part of the hair iron. 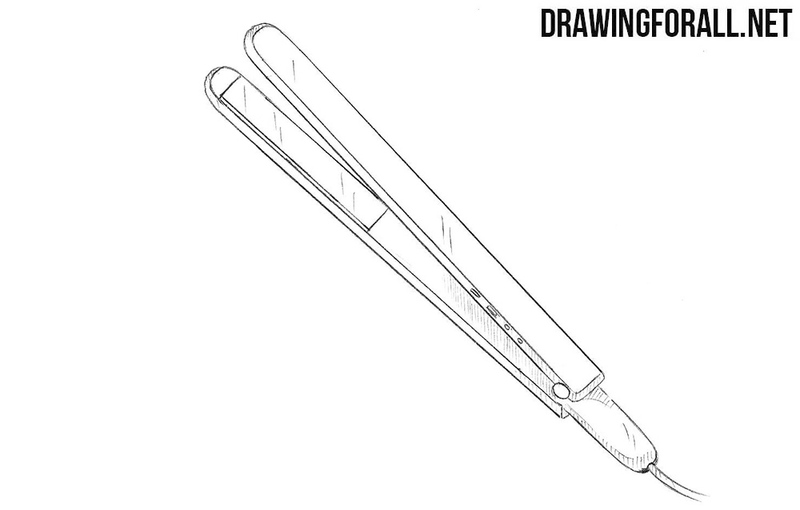 Draw a rectangle at the tip (this is exactly the part with which the hair is straightened). 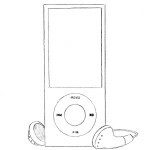 Draw buttons and a part of the wire. Let’s make our hair iron drawing a more voluminous. Using short but clear strokes add shadows and glare to the surface of our hair iron. 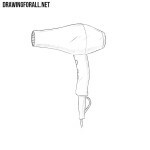 It was a simple but useful lesson on how to draw a hair iron. 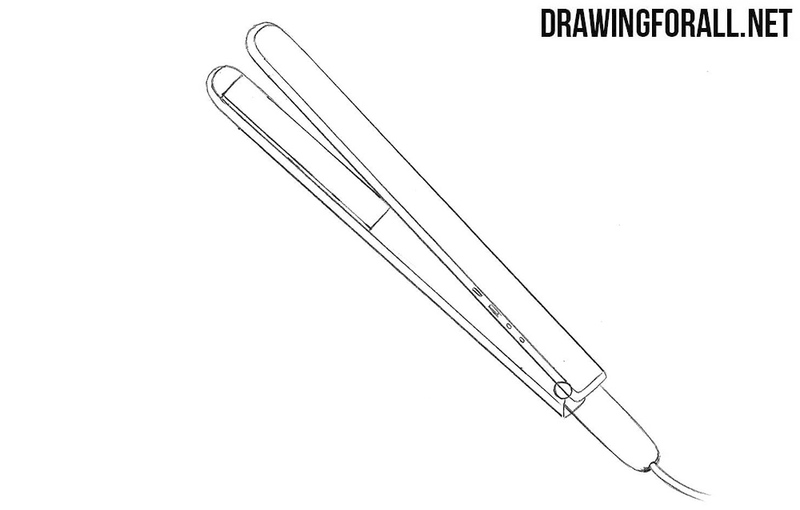 Here we showed you how to draw a hair iron step by step. Do you like such simple lessons about self-care items? 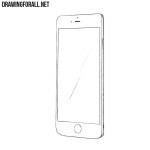 If yes, then on our site there is a lot of interesting things for you. 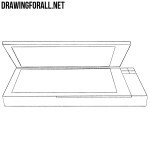 Just write what you want to draw in the search field and you will definitely find what you are looking for. We will be very grateful to you if you share this lesson and subscribe to us on social networks.